our irrigation system is crucial to the health and beauty of your entire landscape. Proper care of your system protects your investment in both your system and the landscape it nurtures. Miller Landscape has a designated team to manage and maintain every aspect of your sprinkler system here in the great state of Michigan. From the first system turn-on in the spring to the final preparations for winter, we will make sure your sprinkler system is operating at peak performance and maximum efficiency. We will make sure you are honoring local water ordinances while providing the right amount of moisture to your lawn and plants. 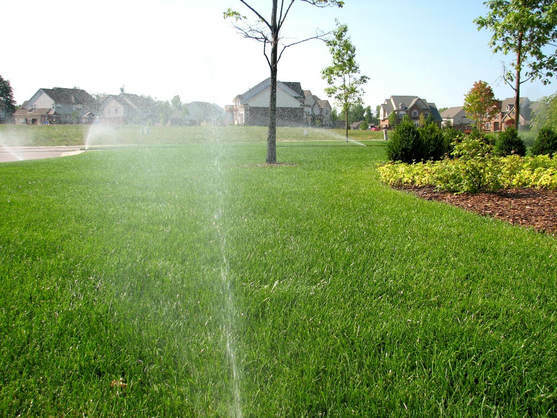 We provide irrigation services for residents and commercial sites. We offer our services as a part of a complete landscape maintenance solution, as an irrigation maintenance solution, or on an 'as needed' basis. We also offer Irrigation Audits to ensure existing systems are working as efficiently and effectively as possible. Many of maintenance packages will start with an initial audit and it's a great step to take if you're thinking about signing up for a yearly maintenance package. Give us a call and let us know you'd like to discuss your irrigation needs.